On Sunday morning, White House Correspondents Association president Margaret Talev was somewhat apologetic over the comedienne’s outrageous April 28 routine that contained attacks on White House spokesperson Sarah Huckabee Sander’s physical appearance and other cringe-worthy bits. On CNN, Talev noted that Wolf’s purported comedy segment has unfairly come to define the entire night. Instead of a “really wonderful, unifying night,” Talev says she regrets that the hateful and inappropriate routine is all anyone wants to talk about. 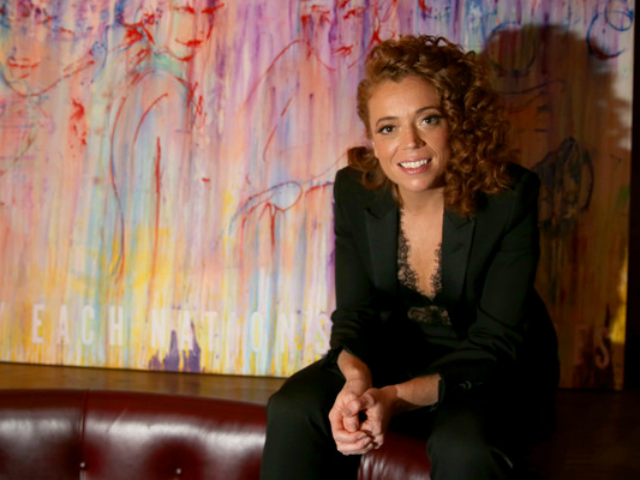 Indeed, many members of the media agreed that the obscene comedy segment did not in the least bit help journalism beat back the impression that journalists hate everyday, average Americans, and that as a profession it is sold out to the far, far left. So, was it to be expected? Yes, absolutely. Did that make it any less uncomfortable? Nope, not at all. Amusingly, Haberman spent several hours Sunday morning defending her tweet against liberals who were outraged over her pique at Wolf. In fact, Haberman’s post sent members of the Hollywood elite into Twitter broadsides against the Times writer. Other members of the Hollywood elite were jubilant over the disgusting comedy set Wolf delivered on Saturday. I attended the WHCD last night. Donald Trump has so poisoned the atmosphere by attacking the disabled, gold star parents, Muslims, Mexicans, Blacks, women, the press, the rule of law that a comedian who simply tells the truth is offensive? She’s joking. He’s not. Replies like these tend to show that the purported comedienne’s routine substantiates the opinion of center-right Americans who say journalism is driven not by truth but by hate for anything not to the far left.